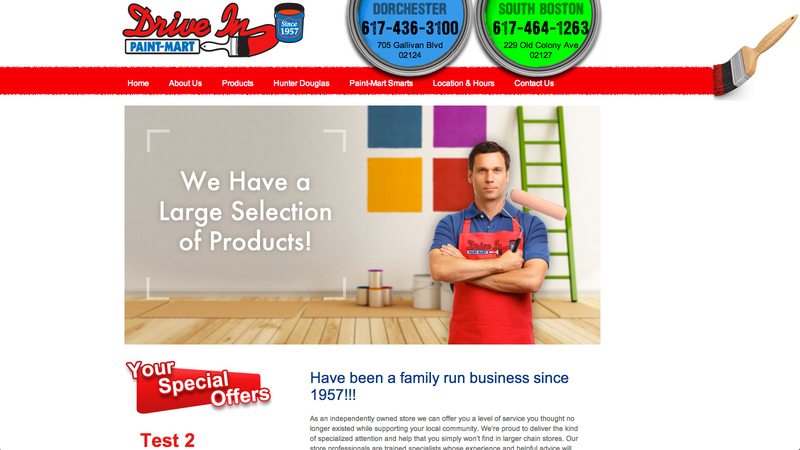 Drive In Paint is a Boston area paint retailer that has two locations. We built a sophisticated look to represent them as an individual paint store, not a branded site provided by a single paint manufacturer. This site is also optimized to come up in searches for painting supplies in the Boston area. Visit this Boston painting supplies website.